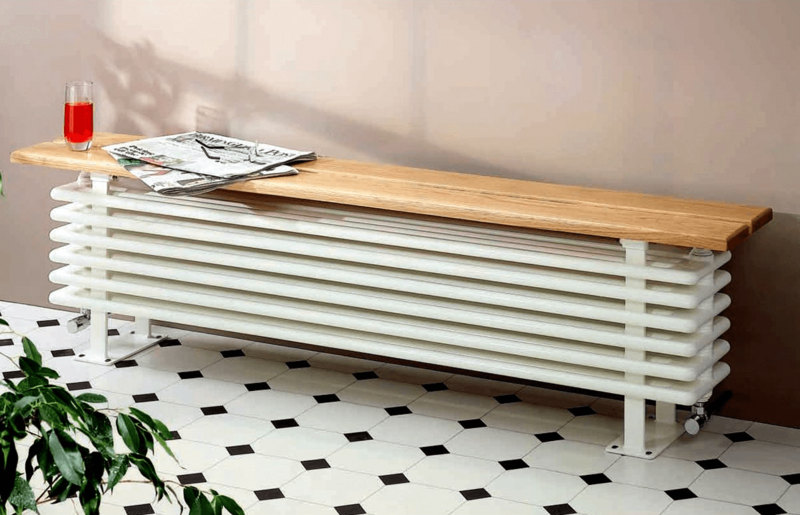 Radiators come in all shapes and sizes however, most moderns radiators tend to have a very generic look that seldom enhances the overall aesthetics of a room. At times they can be bulky, ugly and placed where they’re most inconvenient. If this is you, then you’ll be encouraged by some pretty ingenious tricks out there that can help hide or enhance your radiators so they’re no longer seen as an eyesore and disappear or better still, become an integral part of your space. Here’s 10 tricks to making your central heating system truly rad! 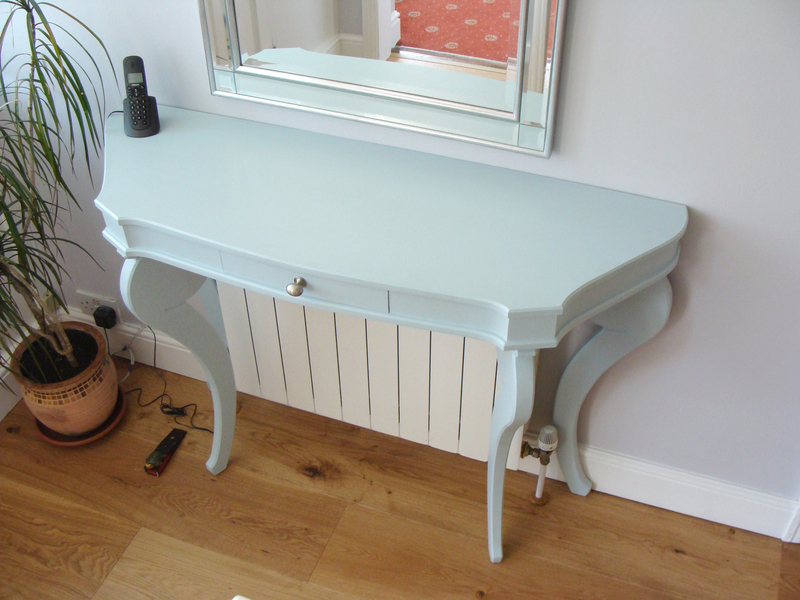 Not to be confused with some of the cheap MDF-based radiator covers on the market, a custom built radiator cover using moulds can help to disguise it and blend it with the details of the existing space. 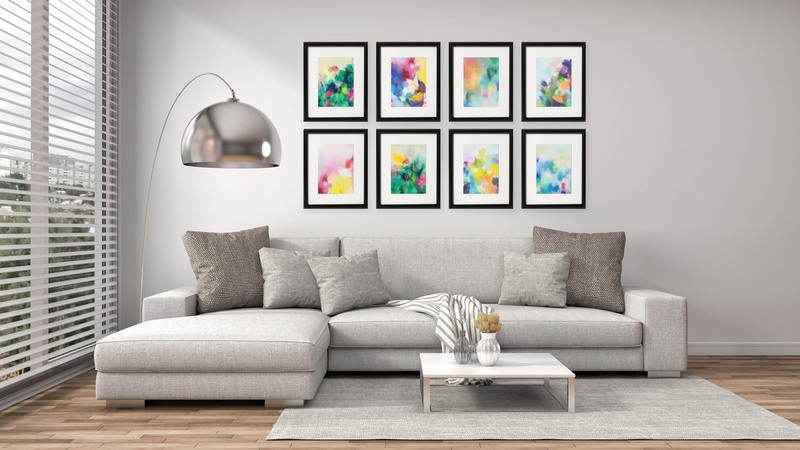 Whether your room is traditional or contemporary, a good joiner could easily create a beautiful cover that can be painted to match and blend the radiator into the surrounding walls and interior styling, making it practically invisible. Perhaps your radiator is in the right place but it just doesn’t look good in the room? Much like a custom made cover, instead of hiding the rad, you could aim to build a new cover that is more stylish and modern to give it a facelift. So it still has the look of a radiator of sorts, yet is far more appealing and suited to your interior design styling. 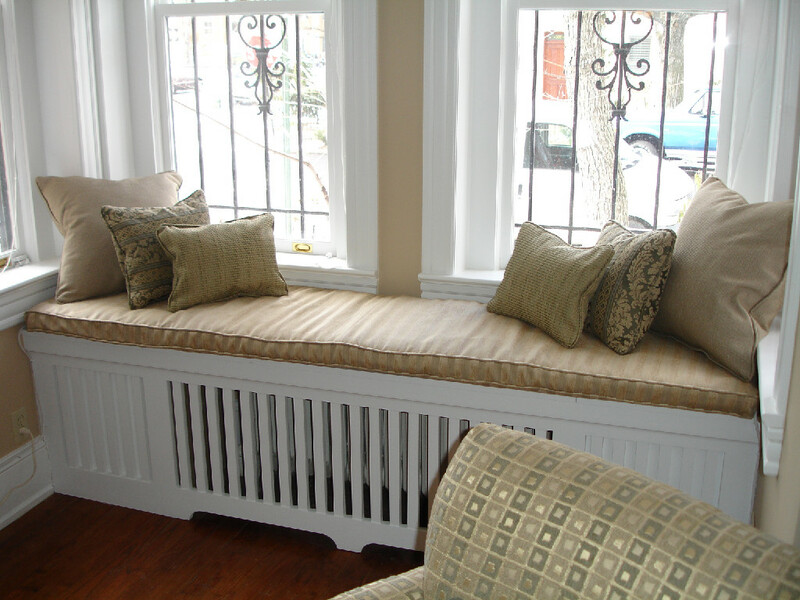 Radiators are often mounted below a window line and this creates the opportunity to build a cover that doubles up as a window seat. This solution offers two huge advantages as it instantly makes the window a cosy useable nook for reading that is warm and comfortable to use all year round. It’s a win-win. Sometimes rads can really get in the way, especially when they’re located on walls that create an obstacle. One solution to this is to create a shelf or slimline counter above the radiator line, thus creating a small but useable bar height breakfast or coffee bar that will keep you nice and warm as you sip down your frothy latte. 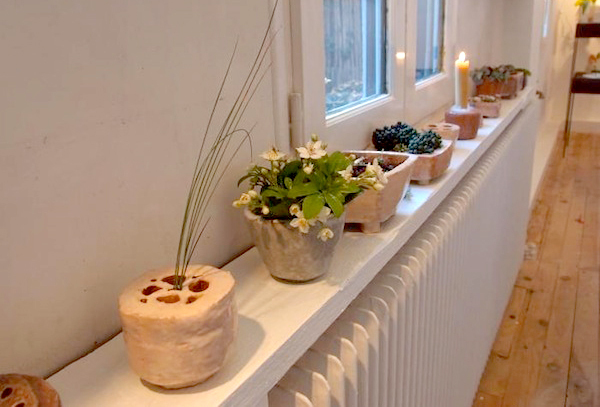 Alternatively, you can use it as an area to place decorative items like warmth loving plants or keepsakes, just to draw your attention from the radiator tucked away beneath. Some homes have low-lying full-length radiators that take up an entire wall space and make the entire facia practically unusable. One great solution is to add a benching frame on top using some solid lengths of rustic varnished timber to make it look like a piece of furniture, rather than a huge great lump of metal. Again, this makes for a warm seat all year round and can then be used to entertain or for watching the world go by through the window. 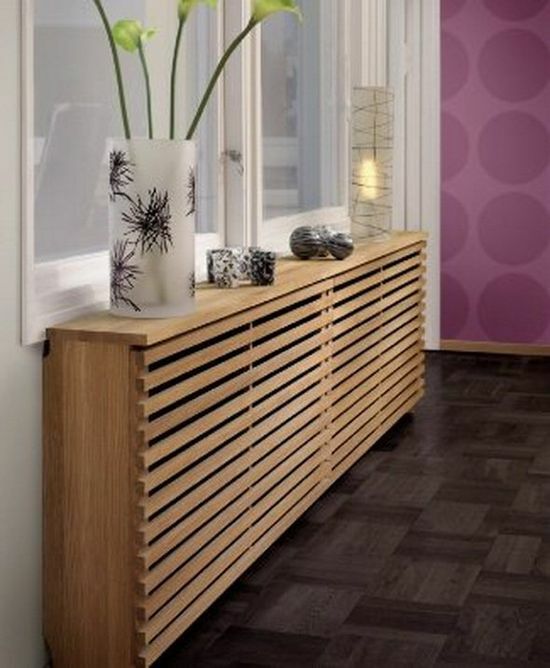 In most cases, radiators are never too tall and most desks and tables are set above the height of the radiator. If you have an office set up or even a bedroom, a desk or dresser can easily conceal the unsightly radiator and take it out of the picture. If nothing suits, you could easily have a joiner create a desk system that fits just above the radiator line and prevent it being unsightly any longer. By keeping it open on all sides, the heat is still able to circulate and ensure your rooms stays warm yet make the radiator practically disappear. Sometimes all it takes is a lick of paint! 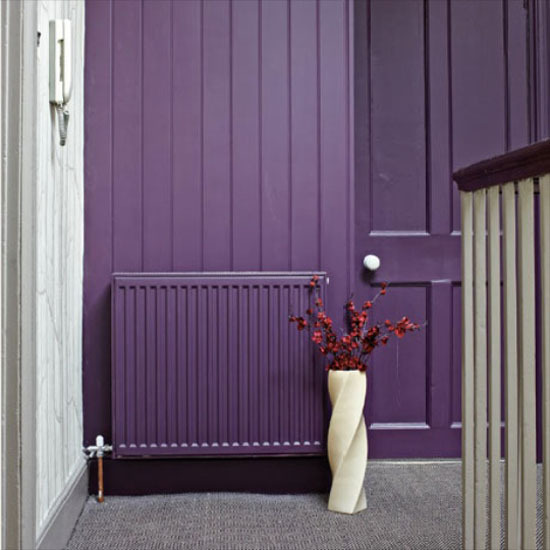 If your radiators do not impose themselves on the room too much yet the colour doesn’t work, then a couple of coats of matt or eggshell paint to match your walls will help it blend in a become less obvious. If budgets are tight, this is the most cost-effective way of making that ugly rad disappear from sight a little. 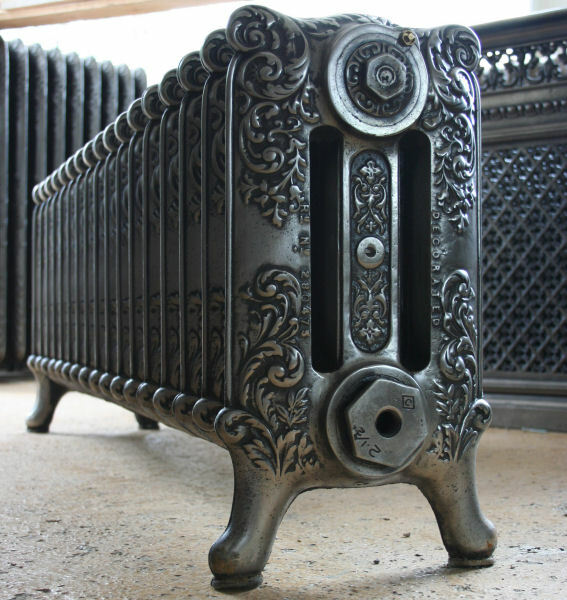 Some vintage radiators just have to be put on show and there’s no greater example than the older cast iron decorative radiators. If you already own a Victorian, Princess or Duchess radiator then why not make it the centrepiece? These beautifully crafted heaters have some stunning decorative features that really make a statement. They give the room a real sense of grandeur and return your home back to it’s period roots. Many companies offer professional radiator refurbishment where they can remove any corrosion, paint and discolouration to make an old rad look absolutely incredible! If your radiator is a little more modern, they add a splash of colour to make it pop. If you’re simply out of options and budgets are tight, the single easiest and quickest way to hide a nuisance radiator is to place furniture in front of it. Remember however, that a large object will block its heating capabilities so try not to put anything too large in front of it. A good sized sofa that sits around the same height is ideal as the heat can still circulate whilst the radiator is conveniently hidden from view.